This is London24’s version of CSI – Crime Scenes of Interest. Bestselling crime author Peter James usually deals in fiction but here he has picked five real-life locations to write about. These are some of the most infamous places in London’s history, all connected to gruesome stories of murder and bloodshed. Peter, famous for his Roy Grace detective novels, will be the first author of the day when The London Book Fair opens on April 16. He will take part in seminars, discussions and book signings during the day. Now in its 41st year, the fair takes place at Earls Court for three days until April 18. This year’s event has a special focus on China. This is one of London’s best kept secrets! Found off St James Street, a passageway leads to a tiny courtyard where the last duel in London was fought. Beau Brummel also once duelled here. 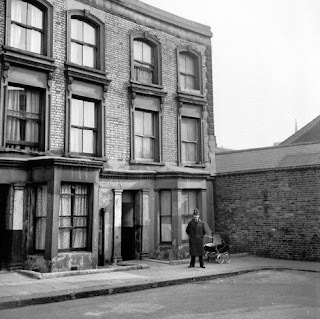 Author of Brighton Rock and my own personal biggest influence, Graham Greene had a flat here – an appropriate location for a man who played Russian Roulette regularly – duelling with himself! 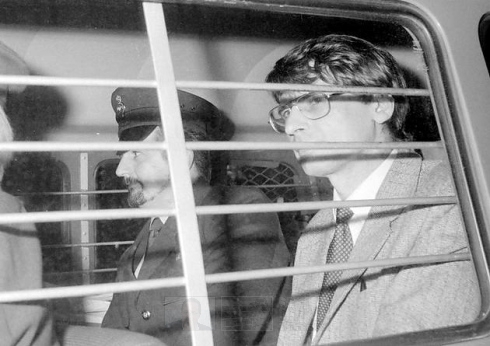 One of England’s most notorious serial killers, Dennis Nilsen picked up gay lovers, then killed them when they tried to leave. When police entered his house, they found a human head in a cooking pot on his stove. According to an ex-prison officer, Nilsen gets upset if he isn’t regularly mentioned in the media. John Christie killed eight women between 1940-50 at 10 Rillington Place, also the title of the chilling film about him starring Richard Attenborough. When he left this house, (now demolished), the next occupant found a corpse papered into a recess in the wall, and the remains of Christie’s wife. No pub has been more aptly named! It was here that legendary East End gangster Ronnie Kray, twin brother of Reggie, shot Richardson gang member George Cornell through the eye on March 8, 1966. And it was also here in 1904 that petty villain Bulldog Wallis stabbed a man to death by ramming an umbrella into his eye. On November 7, 1974, Sandra Rivett, nanny to the children of inveterate gambler Lord Lucan and his wife Veronica, was brutally murdered. Lucan vanished that night and has never been seen since. His car was found abandoned in East Sussex. What became of ‘Lucky’ Lord Lucan is one of the most intriguing unsolved mysteries of modern times.